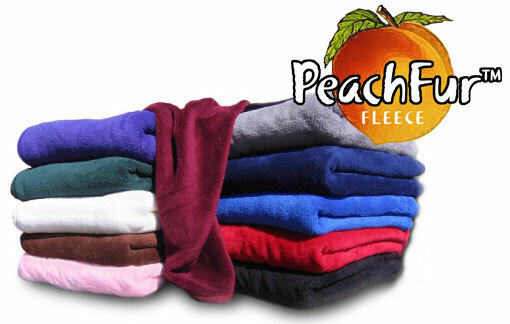 PeachFur's Coral Super Soft fleece blankets are hand crafted with extra TLC hands down this is the softest blanket around! Using only the highest quality premium PeachFur� fabrics. We use 18oz double-sided anti-pill 100% polyester fleece providing a comfortable and luxuriously soft surface on top and bottom. The Coral Super Soft Fleece Blanket is available in three different sizes Standard throw 50x60, Twin 66x90 coral fleece blanket, Full/Queen 80x90 coral fleece blanket . The perfect high quality blanket for everyone soft as a baby blanket wonderfully plush and comfy! The coral super soft blanket makes a great gift it is the softest blanket we have. You can embroider on this blanket if you would like we can add your company or special event logo. This blanket is also available in larger coral fleece blankets sizes twin, full, and queen.